Railroad Express is a game whose action revolves around the railroads of the early 20th century, with 9 reels used in a 3×3 layout. 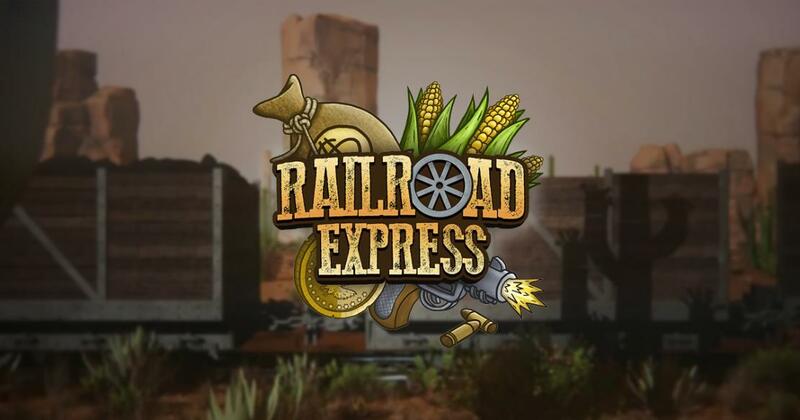 Magnet Gaming’s latest release is Railroad Express, a slot machine that delivers beautiful graphics in a layout that is based on the 3-reels one, even though it’s described as a 9-reels title. You get railways for one, with the gold fever of the Wild West being an inspiration as well. Once the game loads, you can see an improvised train station, with an old man sleeping on his feet and with a wooden construction behind him that doesn’t look very solid. The 3×3 reels which are present there will have various images that are related on them, so you don’t have fruits like other classics would’ve offered. The symbols deliver stacks of envelopes, coals, a Railroad Express gold coin, a revolver, a piece of railroad, money bags, an oil barrel and some corn. I loved the graphics of the slot, I think that they did an excellent job with it. When you’re playing a round of Railroad Express, you will use 3×3 symbols, for a total of 9 reels spinning for you. There are 8 active lines in that game area, and the best combinations formed on them will pay $12,000. There are about four different bonus features that may be activated inside, ranging from Golden Mountain, to Coal Wagon, Railroad Builder or Game Chance. Setting up the bet is done in a way that will feel similar to other slots from Magnet Gaming. You have a level to select for the bet, of 1 to 20, and it will modify the total bet at the same time, taking it from $0.10 to $8. Though it’s not something that you would count on, since this slot looks like a classic thanks to its layout, there is actually quite a bit to talk about in the feature section. There are four bonus games listed, each one with a different symbol that will trigger it. Golden Mountain will come via a symbol that has sticks of dynamite in it. Coal Wagon has an image with a pipe and coal coming out of it. Railroad Builder’s symbol will show you an actual piece of the railroad. Finally, Game Chance triggers through a crate symbol that appears to have hay inside. Railroad Express can be a game that will be interesting for a lot of players, with graphics and plenty of features making it a decent experience.